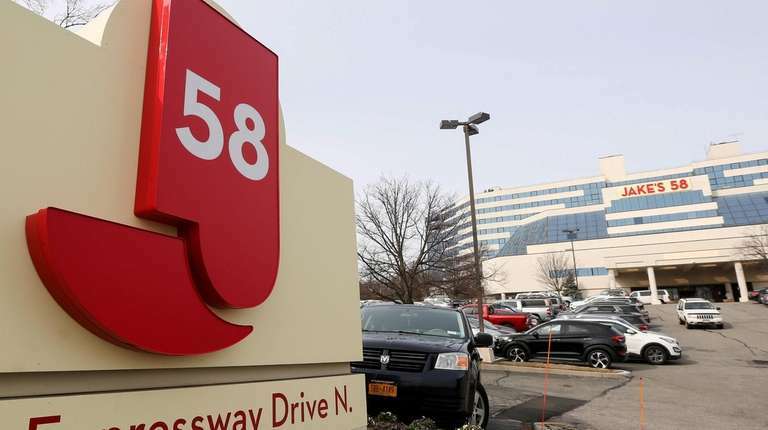 Residents have filed lawsuits arguing against a change in village code and permits issued that allowed a casino to operate at Jake's 58 hotel. Islandia Village Mayor Allan Dorman said he is “confident” a judge will dismiss a lawsuit in the latest legal battle over the casino at Jake’s 58 hotel. The lawsuit, filed by four Islandia residents against the village and casino owner Delaware North, is seeking to shut down the video lottery casino and overturn a law that allows gambling facilities. Dorman discussed the lawsuit in a village board work session last Tuesday. A judge in August ruled to dismiss a couple of causes of action filed by the plaintiffs. “We’re pretty confident that’s going to be dismissed,” he said of the suit after incorrectly stating that four of five actions were dismissed. The casino has been involved in a legal battle since before it opened in February 2017 as the first video lottery casino on Long Island. Opponents sued in 2016 over the village board’s approval that year of a special use permit allowing the casino operation. A state Supreme Court judge sided with the plaintiffs in September 2017, ruling the board acted improperly in granting the permit. An appeal of that decision is pending. Two months later, the board approved a code change to allow “hotel/gaming” facilities in office and zoning districts. The move effectively legalized the Jake's 58 casino, opponents said. Plaintiffs — Jennifer Tomasino, Kevin Montano, Kevin Meyer and Apryl L. Meyer — sued over the code change in state Supreme Court in Riverhead by the end of 2017. The lawsuit contends the village board illegally used spot zoning, among other allegations. “They bargained away to the highest bidder their zoning powers,” Borovina said of the village board, adding that the plaintiffs have suffered from increased criminal and police activity near the casino. Village Attorney Joseph Prokop did not return a request for comment. The case was moved to U.S. Bankruptcy Court Eastern District of New York because Suffolk OTB, which operates the video lottery casino, declared bankruptcy, intervened in the case and is now a defendant. Attorneys for the OTB declined to comment on the pending litigation. Judge Carla E. Craig ruled on Aug. 2 to dismiss plaintiffs’ action seeking to nullify the casino’s certificate of occupancy and to get a permanent injunction against the casino’s operation. The injunction claim was allowed back into the lawsuit after the plaintiffs repleaded, Borovina said. The judge has reserved decision on dismissing as cause of action that the village should have held a referendum on the law. Village Building Inspector Gerald Peters also was dropped as a defendant. Delaware North attorneys did not respond to requests for comment Thursday. Delaware North, which is based in Buffalo, agreed in August 2016 to pay $47 million to the village in tax relief payments over 20 years. The company also paid the village $2.5 million in 2017, including $1.53 million for a new ballfield. The money allowed the village to reduce property taxes by 25 percent in 2017, officials said in a newsletter.